This is a residential fire loss where the majority of the OSB Sheathing and Truss framing was completely compromised prior to the fire being extinguished. Thus, the roof was considered a total loss in the broadest sense i.e., it was not practical to retain roof vents or the associated hardware. 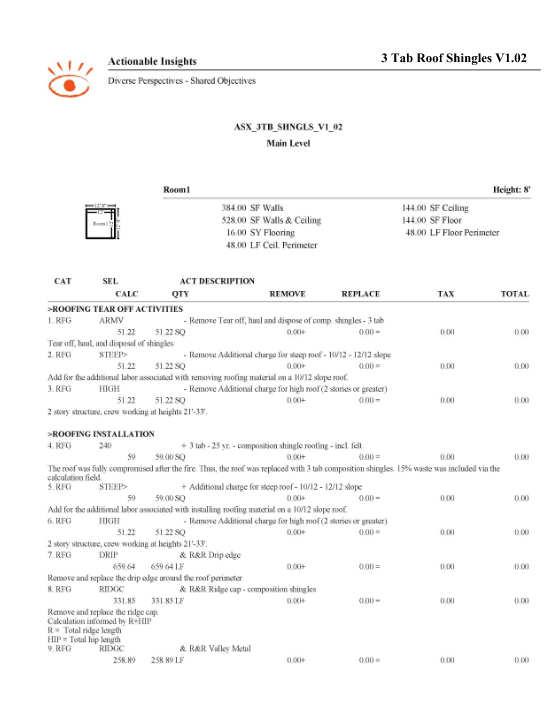 The original estimate incorporated roof windows (skylights) and saddle/cricket framing concessions. The AI Board ultimately determined that these nuances added too much complexity to this Insight Sheet© and those concepts will be captured in a future Insight Sheet© slated for publication in 2018. 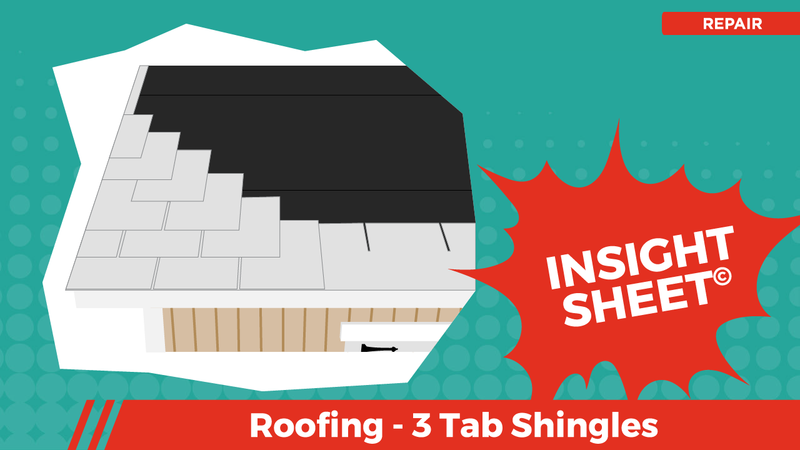 This Insight Sheet© exists to clarify how one might invoice for a roof comprised of 3-tab shingles. This does not seek to include or make concessions for all equipment and/or activities as it relates to a loss of this nature. Manufacturer Warranty. I wouldn't want to void it.